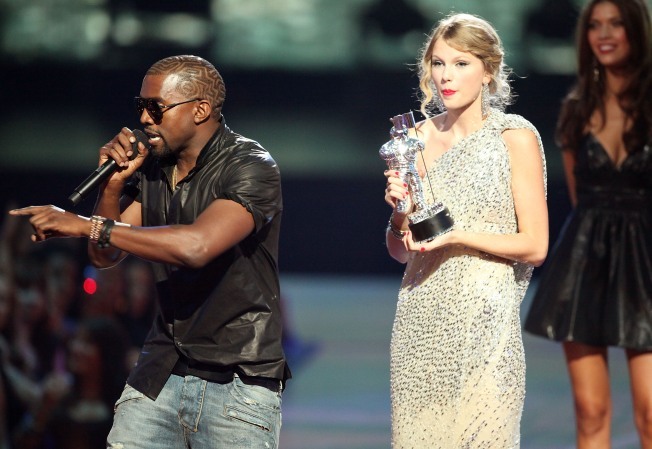 Beyonce Recalls Reaction to Kanye's VMA Outburst: "Oh, No, No, No!" Beyonce Knowles broke her silence Tuesday about Kanye West's notorious Taylor Swift-directed outburst at the MTV Video Music Awards, saying her good friend West only had the best of intentions when he stormed the stage to protest Swift's triumph over Knowles. "Well, I knew his intentions, and I knew he was standing up for art," MTV reported Knowles told Oprah's Gayle King Monday. "When they said the nominees, he's like, 'You have this award,'" Knowles said. West jumped onto the stage during the ceremony when Swift beat out Knowles for Best Female Video. The rapper grabbed Swift's microphone, then told her and the audience that Beyonce's video "Single Ladies" deserved the honor. "When he walked on the stage, I was like, 'Oh, no, no, no!'" Beyonce said. "And then he spoke, and I was like, 'Oh, no, no, no!" Knowles said that despite the outburst, everything worked out in the end -- she gave Swift a chance to re-do her thank you speech during her own win, when "Single Ladies" took home the award for Video of the Year. "In the end, it ended up being a great night, and Taylor Swift did get her moment -- and I didn't have to make an acceptable speech," Knowles said. West apologized multiple times, ending his spree of "I'm sorrys" on an appearance with Jay Leno.